The orchestra says it will shut down after the backlash. An orchestra in Toronto says it will shut down because of backlash to an email it sent singers. TORONTO — A Toronto organization providing live musical entertainment for events came under fire after an email from its management suggested it would only feature vocalists who are "fit and slim'' in its boutique orchestras. Sydney Dunitz, who said she has worked as a volunteer vocalist with Sheraton Cadwell Orchestras for about five years, said she received the email on Monday night and posted a screen shot of it on Facebook, where it has since been shared more than 600 times. 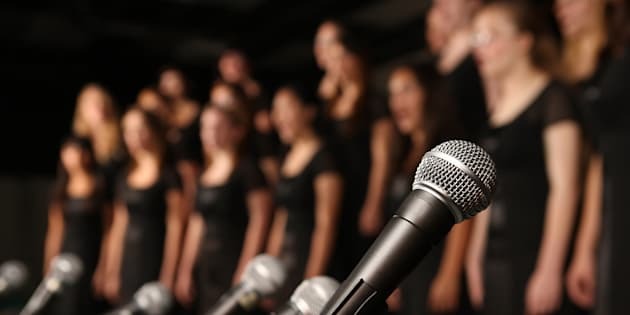 "It has been brought to our attention that although almost all of our vocalists are fit and slim — the way our boutique orchestras would like our front line performing artists to be — two of our featured singers were not,'' the email Dunitz received said. Dunitz said she was shocked by the email, which she said goes beyond the parameters of a dress code. The Toronto resident, who also owns and works at a fitness studio, said she felt compelled to speak out because she tries to enforce body positivity at work every day. She noted that a performer's weight says nothing about their musical ability. When asked for comment, Sheraton Cadwell said in an email that its management was resigning and that the organization would be shutting down. It wasn't clear if the reason the company was shutting down was related to the email Dunitz received. "In consideration of recent events in our personal lives, we hope that you would accept our notice of resignation with immediate effect,'' the email addressed to its members said. Incorporated in 1991, the company said it provides musicians to perform at weddings, corporate functions and other events around the city.